Discover why offal ain't awful. Chef Chris Koetke makes a popular Latin American dish, tongue tacos. Then, Chef Brian Huston has a recipe for veal sweetbreads. And, the meal is finished with a creamy tres leches cake. Chef Chris Koetke makes a popular Latin American offal dish, tongue tacos. 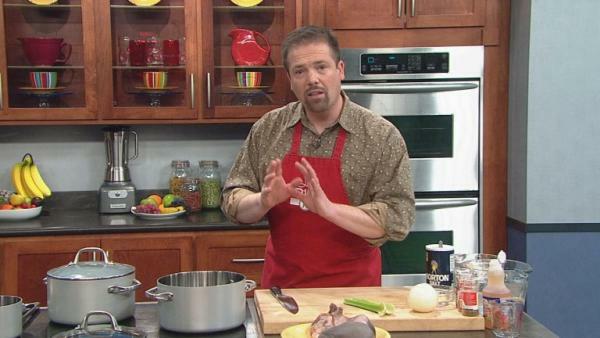 Chef Chris Koetke shares a recipe for a quick fresh salsa. Chef Brian Huston shares his recipe for veal sweetbread. The tres leche cake is a popular treat throughout Latin America. It is soaked in three different types of milk.